Former foes perform Gorillaz's "DARE" and The Clash's "Brand New Cadillac"
A contingent of UK rock royalty gathered this week to celebrate the 60th birthday of The Clash’s Paul Simonon. As Stereogum points out, former foes Damon Albarn and Noel Gallagher, along with The Pretenders’ Chrissie Hynde, teamed up to provide the musical entertainment. They performed songs from all three of Albarn’s bands, including The Good The Bad & The Queen (which counts Simonon as a member). Oasis and The Clash got some love, too. Below, watch fan-shot performance footage of Gorillaz’s “DARE” and The Clash’s “Brand New Cadillac”. Update – Monday, December 14th at 5:10 p.m. CT: Even more footage has surfaced and can be seen below. #supergroup for #PaulSimonon 's #Birthday. 🎸🎸🌟🎼🎂 THANKS to Rollingstone.com for using my video🙏🏻. 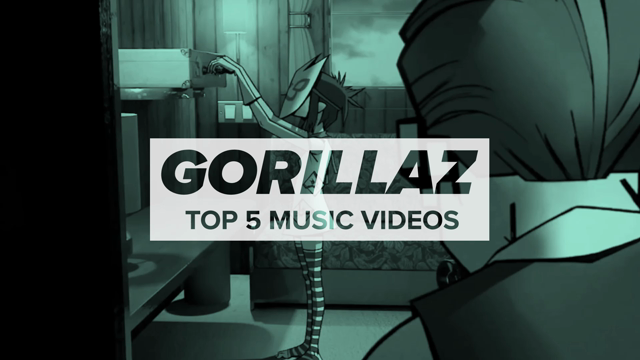 🎸🎸🎸🎸🎸🎸🎸🎸🎸🎸🎸🎸🎸🎸🎸🎸🎸🎸🎸🎸http://www.rollingstone.com/music/news/watch- http://www.rollingstone.com/music/news/watch- 🎸🎸🎸🎸damon-albarn-noel-gallagher-paul-simonon-cover-gorillaz-20151214damon-albarn-noel-gallagher-paul-simonon-cover-gorillaz-20151214.